Elaine Thompson is a Jamaican track and field sprinter. 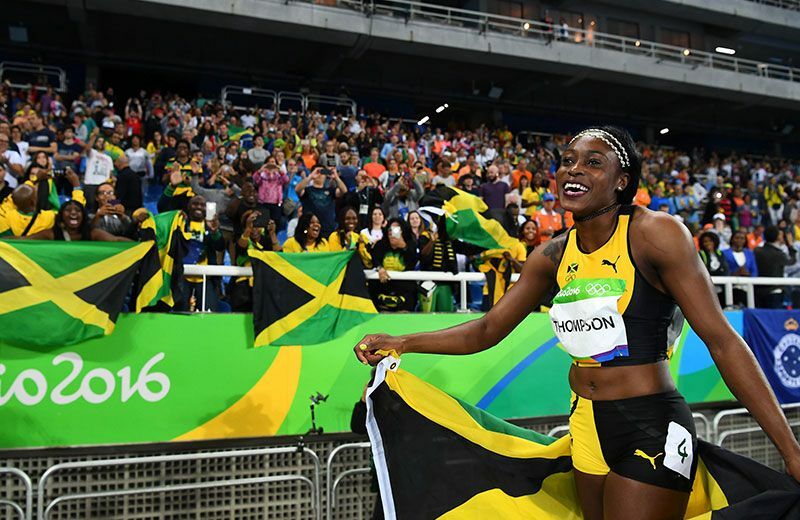 She rose to prominence as part of the gold medal-winning team in the 4x100 metres relay at the 2015 World Championships, where she also won a silver medal in the 200 metres. At the 2016 Olympic Games in Rio de Janeiro, Thompson completed a rare sprint double when she won gold in the 100m (with a time of 10.71 s) and the 200m (21.78 s), becoming the first female sprinter to do so since Florence Griffith Joyner at the Seoul Olympics in 1988. Thompson currently ranks as the fifth fastest woman ever in the 200 metres event and tied fourth fastest in the 100 metres.